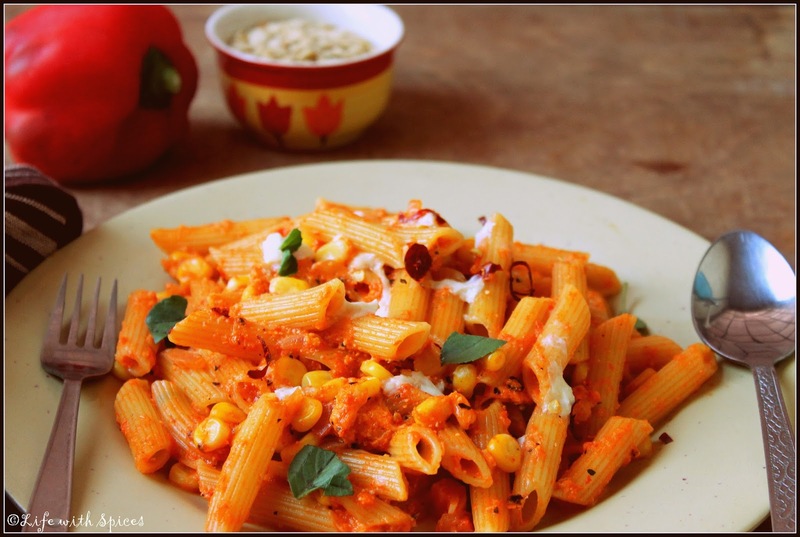 Pasta for dinner with roasted red bell pepper and pumpkin seeds sauce is a flavorful and quick recipe. Roast bell pepper directly in flame till they get nicely roasted, scrap the skin and chop it. In a pan add oil add chopped tomatoes, peppers, sweet corn, garlic saute well and at the end add sunflower seeds. Once the mixture cools grind to fine paste. Add this paste to the pan add salt, chilli flakes, italian seasonings, pepper and water 1/4 cup. Cook in medium flame for 3 -5 mins add pasta add grated cheese and serve hot. Delicious and healthy pasta dish. cannt think of better dinner a cup of soup along with work fantastic ! Looks very inviting. my favorite. 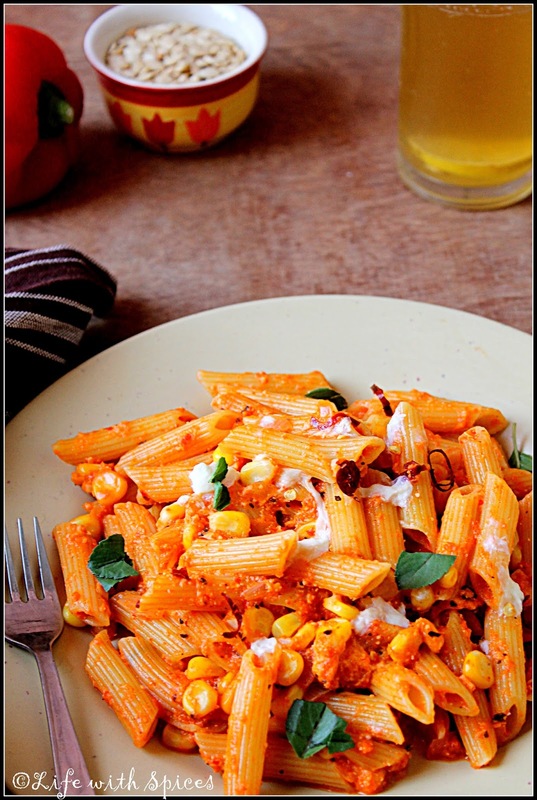 Tempting & lovely pasta !